Well- April is over! It definitely went out with a bang with the monsoons that engulfed Maryland earlier this week. To make up for it, today was 90% beautiful! – Run 5 miles at once: Fail. I didn’t even attempt it. I feel like I could run the five miles, but I just didn’t get the time for a last long run. I’m hoping to try to hit 5 miles on Sunday! 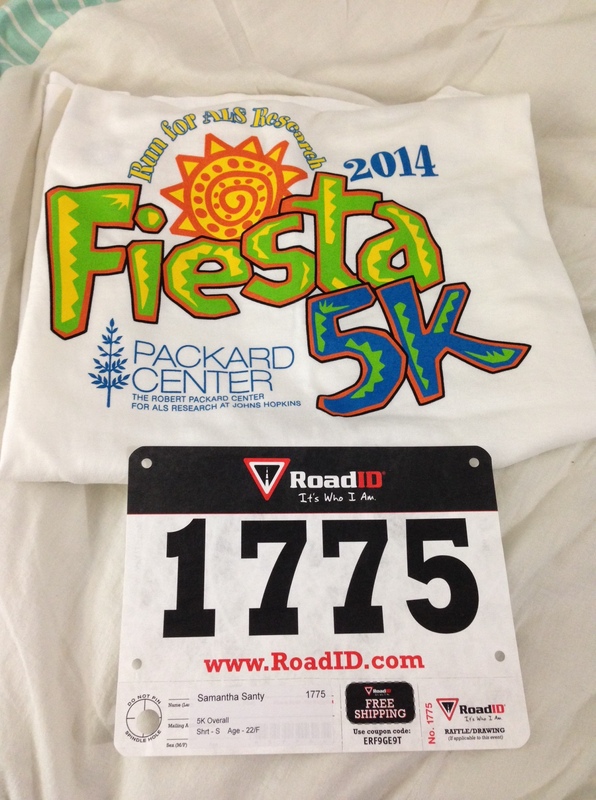 – Run a sub 30 5k: I plan to gauge my success on Saturday at the Fiesta 5k! After Monday’s run – I know I can do it! Today, before heading out for 3 miles with my running buddy, I went to Charm City Run to pick up my packet for Saturday’s race. I’ve been wanting to go up there for a while but have avoided it for the sake of my wallet. Well, that store is like heaven! I wanted everything! While I wasn’t looking at buying shoes, a worker came and gave me advice for the next time I do buy a pair – he was very nice! I bought an issue of Runner’s World, some pink shoelaces (your shoes can never be too colorful), and some Nuun! I’ve been wanting to try some for a while now. I really wanted to try the nuun energy, but they had a pretty limited selection at the store. I picked up the Blueberry Pomegranate flavor of their “all day” variety. I can’t wait to try it tomorrow!